Tuesday’s schedule in the partypoker POWERFEST was one of the most loaded yet, with two $10,300 Super High Rollers as well as ten other events in the High and High Roller tiers. When all was said and done, the day belonged to “mbtremendo”. He or she outlasted a 208-strong field full of the game’s best players to win Event #108 Super High Roller: $10,300 No Limit Hold’em Championship Event for a massive $424,112. The final table also included “Alien_Army”, who finished second for $307,840. He or she already won a title this POWERFEST, when they took down Event #082-HR: $200K Gtd PKO Mix-Max on Day 13 for $20,515 plus $5,434 in bounties. Over in the other Super High Roller, Event #112 Super High Roller: $10,300 Pot Limit Omaha Six-Max Championship Event, it was “MysterioBrown” who emerged victorious. They overcame a tough final table which included partypoker ambassadors Jason Koon (2nd) and Isaac Haxton (3rd) to bank $303,421.82. Two players made multiple final tables last night. 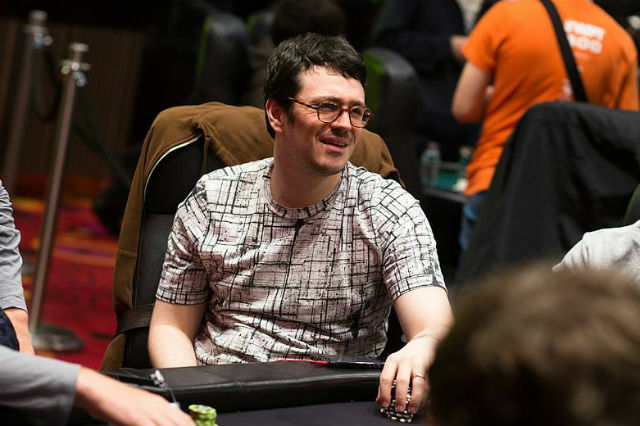 “petdet3ctive” placed fifth in Event #112 High Roller: $530 Pot Limit Omaha Six-Max for $3,281.25, as well as picking up a third-place finish in Event #113 High Roller: $530 No Limit Hold’em Fast Six-Max Progressive knock-out for $6,075 plus $1,189 in bounties. Chris “therealmoorm” Moorman finished fifth in that one for $3,240 + $1,066. Meanwhile, “Doyle_B” was also having a busy night. He or she finished third in Event #107 High: $215 No Limit Hold’em Six-Max for $11,510.10, and followed that up later in the evening with another final table in Event #114 High: $109 No Limit Hold’em Turbo, finishing fifth for $1,560. Bulgria’s “SUPERSCOUSER” also took down a title, winning the Event #110 High Roller: $1,050 No Limit Hold’em for $80,675 after a heads-up chop against “TheFatMexican” ($80,675). Other winners on the day include “BateBicoPLZ”, “BateBicoPLZ”, “Watdaf”, “LaheyRandy”, “zanzibazaar”, “JaegsEZ”, “BucketsOfRain”, “CemboUnchained”, and “YOUgoValhalla”.